Only one week until the SAT? Wondering how to cram for the SAT? If you only have a week left before your test, there’s still a lot you can do to boost your score. With that said, though, there are a few things you should know before starting your SAT cram session! This is the crash-course study schedule. I don’t recommend it to those who are scoring in the 1000 range and suddenly want to jump up to the 1300 range. For that, you’ll need more prep time (check out our 3-month study schedule). However, if you’ve already taken the SAT and are taking it again, this one week SAT study schedule will be the perfect refresher course/SAT cram plan. Or, if you are already a 4.0 student who has always excelled at standardized tests but wants a little bit of a “tune up,” then you’ve come to the right place. The newest version of the SAT (which launched in 2016) is a different beast than the old SAT, so I thought I’d quickly set things straight before sending you to the study plan. First off, the new test isn’t as much about learning strategies as it is drilling concepts. So, this one week SAT study schedule is about doing many, many practice tests, and not so much about learning a “system” that you have to apply to the test. It’s not your typical “how to cram for the SAT” schedule—but that’s also why it’s effective. The best SAT cram course focuses on how to become as familiar as possible with the test itself and your strengths and weaknesses, rather than providing a one-size-fits-all SAT cram sheet. That said, try to understand the fundamentals at play in a question. If you don’t understand these, you’ll need to review them (that’s where the Magoosh lessons come into play). The Magoosh blog is also very helpful from a content standpoint. Most of all, you’ll want to understand why you answered a question incorrectly. Don’t just zip through these practice tests. Finally, there is no guessing penalty on the new test. So along with far fewer trap answers, this is another reason to breathe a sigh of relief. What the test will come down to is the following: knowledge of fundamentals and how well you can remain focused and be near the top of your game for three plus hours. 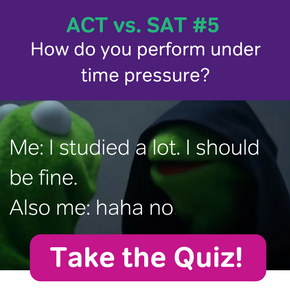 That’s why this one week SAT study schedule will have you do many timed practice sections and a full-length practice test. SAT cram sheet? Try SAT cram schedule! This is everything you’ll need to get your score as high as possible in a limited period of time. That’s us! 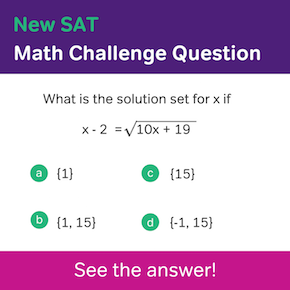 Our New SAT Prep includes lessons and questions that you will work through, thereby increasing your SAT efficiency. An invaluable (and free!) resource. If you want extra help on a section or general advice, you can search for posts relating to the New SAT (make sure you don’t click on posts relating to the old SAT!). This section of the blog is completely dedicated to the Redesigned (New) SAT. This is the SAT bible that has questions created by the writers of the test (the College Board). You’ll have four full-length practice tests, which give you a sense of the actual difficulty and complexity of the test (it’s more difficult than the content found in the other books). You won’t have to go through all four tests in one week (I’m not that evil!) but, almost everything you’ll need from a practice question standpoint point is found in this book. Find it on Amazon for under $20. 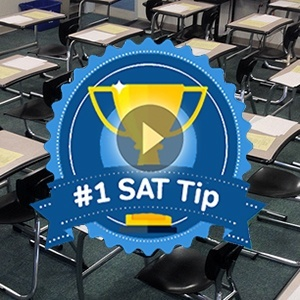 We also have Official SAT Study Guide video explanations to the College Board questions. Check them out! *Unless you like working offline and/or just love the smell of books, you might want to stick to the free practice tests, and not purchase The Official Guide — which, again, contains the exact same tests found on the Khan Academy site. There are two things that I want you to do on a daily basis that will end up making a significant difference on your score. Okay, bear with me one second while I make an analogy. A few years ago, I did this crazy obstacle course challenge that involved jumping into a tub filled with ice and wading 20 feet through bone-chilling water. I hate cold water. Like really hate it. I knew I had to somehow build up my tolerance. So, a week leading up to the race, the first thing I did each morning was make my shower as cold as possible and stand under it for three minutes. The first two days I almost died. By the fifth day, though, it wasn’t really that bad. On race day, I remember exiting from the tub, thinking, that was it? So what’s the cold tub of water in this analogy? The reading passage. The first thing you will do every morning is read a full-length SAT passage and complete the questions that follow it. This will take exactly 15 minutes. 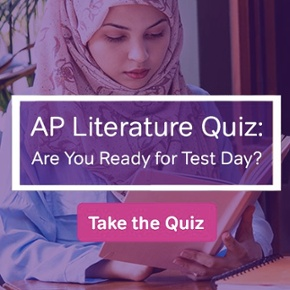 The first day it will be hellish, but come test day when the first thing you’ll have to do when you open your test booklet is a 65-minute reading section, it won’t be that bad (you might even think, that was it?). Think of it as the key to your SAT cram plan. On the other hand, you can skip this part of the one week SAT study schedule, but don’t blame me if your brain is still half asleep on Saturday morning and drifting off during the 18th century passage about competing systems of democracy. How to cram for SAT math? I’ll spare you an analogy here. Instead, I’ll come out and say it: Get a mental math app on your phone. (If you are one of those very few armed without a smartphone, then use the Internet instead and make yourself an “SAT math cram sheet” to practice with). Of course, structure is great. So I’ll slip in some 15-minute mental math prep, starting on Day 2. You’ve got to be pretty amped up to deal with this one week SAT study schedule. I’m not going to give you a couple of easy things for you to check off each day, telling you that’ll be enough to see a score increase in one measly week. So pedal to the metal, as they say. You’ll be spending two to three hours on the weekend and about 90 minutes on weekdays. I’ve set this up so that Day 1 corresponds to a Saturday, Day 2 to a Sunday, and so on. Day 7 will be the day before the SAT (you’ll get a little bit of a study reprieve for that day). If you can’t finish quite everything on a given day, don’t fret. Just do as much as you can in this one week SAT study schedule. For the next day, always do just that day’s work. For example, if you don’t finish Day 2’s work, on Day 3 just do the work for that day. Don’t “carry over” one day’s work into another. If you need to cram for SAT prep, it’s important to prioritize your tasks, day by day. This is the big day: the start of your SAT cram course. Turn off all electronic gadgets and for the next three hours commit yourself to the SAT. Do the first test in the Official Guide, pg. 334-388. Give yourself the exact time for each section. If you finish early, you can move to the next section, but don’t go back. On test day, you won’t be able to move on to the following section until the proctor has called time. This will give you time to rest if you finish early. Even if you finish early on this practice test, I suggest resting, but if you don’t finish with much time, avoid the temptation to rest. Remember the ice cold shower? This will hurt the first time, but it will be invaluable preparation for the test you take a week later. Review a few of the questions you missed trying to figure out why you got them wrong. Write down two to three things you’ll do differently for the next test. Write down a reasonable target score you hope to get on the real test. (Shooting for 50-100 points over, given the one-week constraint, seems pretty reasonable). 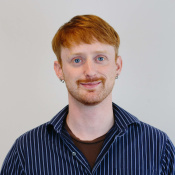 Watch three Magoosh Lesson Videos of your choice. Based on your practice test performance, choose an area or areas that you need the most work in. For instance, if your writing score was much lower than your reading score, you might want to focus on writing fundamentals. Whenever you miss a question, go back and figure out, to the best of your ability, why you missed the question. Though you won’t always be able to do this, just trying to work it out will help your performance next time around. Watch two to three Magoosh Lessons of your choice. It might be a good idea to find videos relating to any of the concepts or fundamentals you struggle with during the practice sets. Watch two to three Magoosh Lessons. In general, you can intersperse these videos anywhere, even in the day’s practice questions. How to cram for the SAT the night before? You can’t! Don’t try to shove a ton of extra material into your brain today. Instead, keep going with your practice early in the day, then get a good night’s sleep—you’ll perform far better, I promise! Eat a full breakfast before leaving home. Read our SAT Test Day Checklist. All right, you made it through the One Week SAT Study Schedule! Congratulations, and good luck on your SAT! 🙂 Don’t forget to let us know how you do. Editor’s Note: This post was originally published in October 2013 and has been updated for freshness, accuracy, and comprehensiveness. Weeks vs. Months: How Much Time Do You Have Left Until Your SAT? hii, my sat is on 7 june and i just registered for it and i am taking it for the 1st time how much hour should i study to score 2100 or up is it possible. It is possible, yes, but it depends very heavily on your “starting score”—how well you would do on the test now, before preparation. If you took a test today and scored a 2050, then I’d say it is possible to reach above 2100. If you took a test today and got a 1500, it would be basically impossible to make a 600 point increase in 10 days. The SAT is a big test that includes a lot of information and different skills; you cannot cram for it in 10 days time and expect a large improvement, I’m afraid. That’s not to say you can’t improve in that time period—you absolutely can—but how much improvement you make depends on how much time you spend. I got a 1370 on my SAT the first time I took it because of little preparation and the fact that I had to study for my AP classes. I’m taking it in exactly a week and if I take studying seriously will I be able to raise it to 1500? It’s certainly possible that your score could go up that much, but one week is really not enough time that I can guarantee an improvement that large; the SAT is a very large test! That said, every bit of studying you can do in the next week will help, so it’s definitely worth giving it your best try. I got an 1820 on my SAT and i’m taking it again on December 5th. Is it possible to raise it to a 2150 or higher? Good luck with your prep!! I hope you get your goal score. What should I do in these 5 days ? You’re definitely in the right place! Our One Week SAT Study Schedule is great for last-minute prep. It uses resources from our Magoosh SAT Prep and the College Board’s Blue Book to help you prepare for the exam. If you start today, you’ll even have an extra day to review before your test. Best of luck with your prep! Going all the way up from 1200 to 1350 in just two weeks is a tall order. Doing this would be very difficult, but not necessarily impossible. Sometimes students miss a lot of SAT questions due to poor multiple choice strategy and not because they still need to learn more academic content. My advice is to focus on SAT multiple choice strategies first and academic content second. This is the best way to boost your score as much as possible in a short time. Will it get you all the way to 1350? That’s hard to say. But it’s definitely worth attempting. If you have time after the test, come back and let us know how things went! please I am writing on Nov 5th for the new sat how can I improve my score from 1110 — 1300 in 9 days. In all honesty, it’s very difficult to boost your score by that much in just 9 days. For the fastest possible score increase, I recommend focusing on test strategies and test skills rather than academic content. Strategies and skills can be learned more quickly than specific information about math, grammar, literary devices, etc…. But again, even with a skills-strategy approach, you’re not guaranteed to get all the way up to 1300 int hat short of a time. Still, it doesn’t hurt to try. Good luck! Hey, I already took the SAT once and I got a 530 in reading and 740 in math. I really want to improve my reading score with 1 week. As of now I get 35/52 in my reading tests. Any advice to improve my SAT reading score? The first thing I’ll tell you is that there’s definitely a limit on how much you can improve your SAT Reading score (or your score on any SAT section) in just one week. To boost your score as much as possible, I recommend focusing on strategy. Test strategy can be learned a lot faster than overall reading skill. Focus on multiple choice strategies in SAT reading. 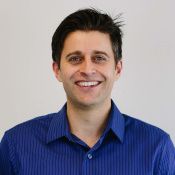 Magoosh actually has a three part post on SAT Reading multiple strategies that you can check out: SAT Reading Multiple Choice Strategies, Part 1; SAT Reading Multiple Choice Strategies, Part 2; SAT Reading Multiple Choice Strategies, Part 3. Also work on more basic reading skills like skimming (quickly looking at a passage for the main ideas) and scanning (quickly looking through the passage for keywords related tot he questions. These skills can be built up very quickly with a few days’ practice, which can really help you improve your score. If you focus on test strategies, skimming and scanning for the next week, I’m confident you can improve your SAT Reading score. Exactly how much you can improve your score is a little unpredictable of course. Good luck! I’m taking march SAT.I got 920 marks in my first practice test, can i improve it upto 1250.